Become a Beach Clean Leader – Batten down the hatches against winter’s Plastic Pollution Storms! 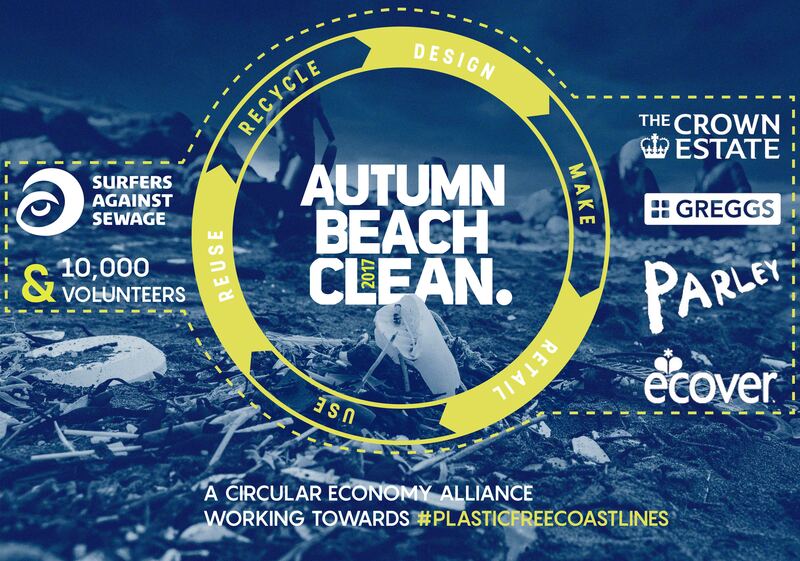 Surfers Against Sewage and our partners The Crown Estate, Greggs, Parley For The Oceans and Ecover issue a rallying cry for 300 intrepid Beach Clean Leaders from across the country to volunteer to organise their own Autumn Beach Cleans during the week of the 23rd – 29th of October. Each year our coastal communities brace themselves against the winter conditions that create a ‘Perfect Storm’ of plastic pollution on our beaches. 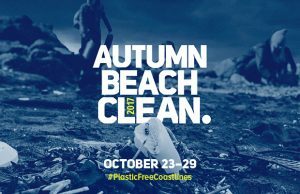 The Autumn Beach Clean extends deep into this darker, colder time than any other beach clean project. When, in the absence of summer’s tourist spotlight, the health of our coastlines can slip from the nation’s mind. It brings those who use their beaches year round together and by becoming a Beach Clean Leader you can unite, inspire and empower your coastal community to take action to create plastic free coastlines. Whether you’re a new recruit and you’d just like to try doing a #MiniBeachClean or a veteran with plans to lead an epic multi-beach expedition, the important thing is that you are taking a stand against plastic pollution at your beach. Explore your nearest stretch of coastline or river. Scout for beaches and coves that are affected by plastic pollution. Identify and map the location and plastic pollution levels. 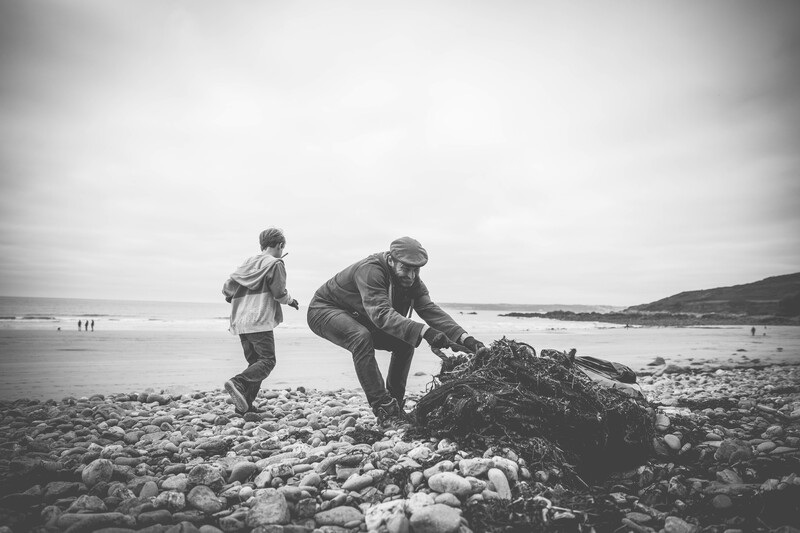 Begin a hugely enjoyable, empowering and vital role as a Beach Clean Leader. With as many as 51 trillion microplastic particles – 500 times more than there are stars in our galaxy – polluting the world’s seas (1), the crisis facing our oceans is nearing the point of no return. Hundreds of species of marine wildlife are now affected by plastic pollution, with millions of animals, from seabirds to seals, dying every year through entanglement, injury, drowning and starvation. The threat to humans is no less severe. At risk are our wild spaces and oxygen supply as well as our health. The chemicals that plastics leach and absorb in seawater have been linked to endocrine disruption and some cancers (2) and with 1 in 3 fish caught for human consumption now containing plastic (3), it’s no longer a question of if there is plastic in our seafood, but how bad exactly that is for us. Dom Ferris, SAS Head of Community and Engagement says; “It is in the face of such overwhelming odds that the sacrifice and passion of the 16,000 Autumn Beach Clean volunteers who have joined us to remove 43 TONNES of marine debris from 612 beaches since 2011 shines”. It is this indomitable spirit that has inspired and enabled us to bring together a dedicated and ambitious group of Autumn Beach Clean partners, all of whom share ours and our force of volunteers’ commitment to create plastic free coastlines. The solution does not lie with beach cleans alone which is why we are delighted to be working with; lead partners The Crown Estate; community building partners, Greggs; Parley for the Oceans and Ocean Plastic Bottle Recycling partners Ecover. Together the formation of this pioneering ‘circular economy alliance’ presents an opportunity tackle plastic pollution at all levels, raising awareness and creating change from source to sea and shore to store. You are reading this because you care about the health of our oceans and beaches. Becoming a Beach Clean Leader provides your community with the opportunity to join you in protecting them. Sign-up TODAY at [email protected] / @surfersagainstsewage / 01872 553001. Greggs is proud to support Surfers Against Sewage for a second year. As a business with over 1,800 shops UK-wide, we feel it is our responsibility to have a positive effect on the lives of our customers and colleagues, through supporting campaigns such as the Autumn Beach Clean. We look forward to the forthcoming events and supporting our local communities who take part. We are delighted to continue in our support of Surfers Against Sewage whose cause is so closely aligned to our own. This event provides a fantastic opportunity for families and communities to come together to protect our precious coastlines and wildlife. The movement against Ocean Plastic is gaining momentum and projects like this are at the heart of that change.